7 Luxe vergaderzalen, gratis parkeergelegenheid en gratis Internet. Uw gasten zijn van alle gemakken voorzien. Onze gratis shuttle brengt u snel van en naar Rotterdam-Airport. U gaat zorgeloos en uitgerust op vakantie. 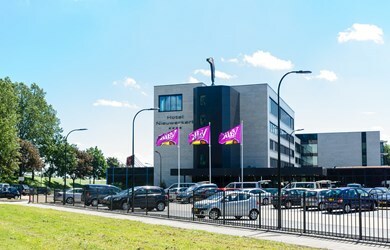 Hotel Rotterdam - Nieuwerkerk is located in the green on the outskirts of Rotterdam. The hotel has a luxurious wellness center, 12 multifunctional rooms and a wide range of rooms and suites. Day of Rotterdam? Then from this hotel you can easily! 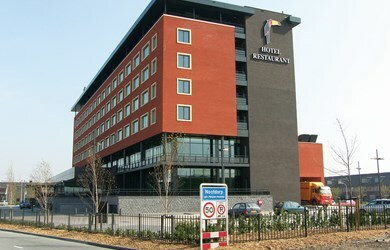 Hotel Den Haag - Nootdorp is centrally located on the A12. Shopping in The Hague, a performance in the theater, everything is possible from the hotel. The hotel has an atmospheric á la carte restaurant, 14 meeting rooms and 140 luxury rooms with rain shower and whirlpool where you can stay in luxury.